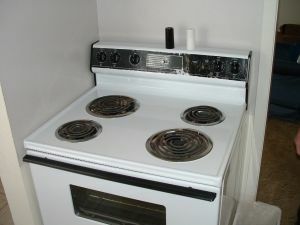 The moment a major kitchen appliance like a refrigerator or stove goes up, you need to get it replaced right away. You certainly can’t cook your family meals out of a cooler or a hot plate. The best approach to buying a new major kitchen appliance is to do some research online before you head to a dealer. Once of the showroom you can compare the prices you found online with what’s being offered at the store. Chances are that store will match or beat those prices. You might even consider buying a floor model for extra savings. The big issue then becomes what to do with the old appliance? That’s easily resolved with a call to Junk King Houston. As they do with everything they collect, Junk King Houston can also take care of big appliance recycling fast. They’ve already set up the working relationships with many recycling facilities located throughout the area. These are part of the crews’ weekly drop-off routes. They’ll wait until they have a truckload full of scrap metal to go to the recycling center. Your stove, refrigerator, dishwasher or washing machine might be part of the truckload. The other way the Junk King Houston takes care of big appliance recycling is to donate those items. There are some charities that have workshops set up to repair appliances. That way they can donate those two families in need. In either scenario, those big appliances are being kept out of a landfill and that is a big win for everyone. Junk King Houston will send over a work crew and a truck. That means you should take full advantage of that session. Don’t limit yourself to just getting rid of your big appliance. Take the opportunity to also get rid of any unwanted furniture, electronics, sporting equipment or clothing that you no longer going to wear. Those are all perfect items to turn over to Junk King. Scheduling is important when you are getting rid of a big appliance because you want to make sure you can happen on the same day that the new appliances being delivered. That won’t be a problem for Junk King. Big appliance recycling and junk hauling is in complicated when that job is given to Junk King Houston. This entry was posted in Houston Appliance Disposal, Houston Junk Removal and tagged big appliance, Junk King, junk removal on October 31, 2017 by Junk King. Last updated October 31, 2017 .